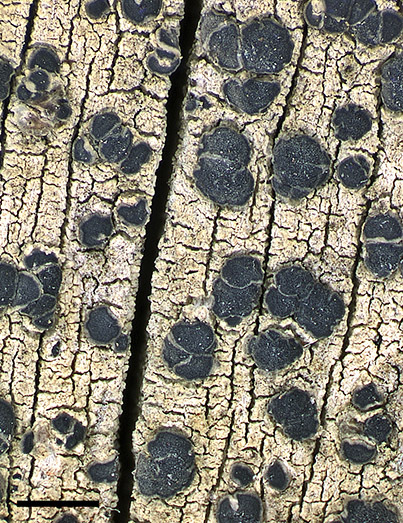 Lecidella leucomarginata, a new lichen described by Kantvilas & Elix. Scale bar = 1 mm. State Herbarium of South Australia Hon. Research Associate Hellmut Toelken discusses the rediscovery of Hibbertia hirsuta in south-eastern South Australia, 130 years after it was first collected in the State. For a long time the species was thought to only occur in Tasmania. Lichenologists Gintaras Kantvilas (Tasmanian Herbarium, Hobart) and Jack Elix (Australian National University, Canberra) describe one new species and one new subspecies of the lichen genus Lecidella; their paper also includes a key to the genus for temperate Australia. This entry was posted in Publications on 30 October, 2014 by Jürgen.